we are doing several things from growing a garden to hanging our clothes outside. Recycle,reusable bags,walking, changed light bulbs. Thank you! We are not using ANY plastic water or juice bottles. We are taking resusable and refilling them! This winter I have turned off the sprinkler system to save on water! We started with all our lightbulbs and new appliances that we had to purchase when we moved into our new home a few months ago. 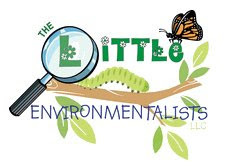 We hope to get our family fully supporting our changes to go green and as the money allows we'll try to purchase anything that is good for the environment, whether buying organic foods or just items of clothing or diapering or items for our home. We are planting two new trees. We are teaching our son, simple ways to recycle and reuse things, as well as ways to save water, electricity, etc. We know he'll be able to take the simple ideas and expand on them as he grows. We also grow our own garden. I compost, recycle, buy organic clothes, organic food, shop local, reusable bags, and so much more lol. I would give this to my friend who is trying to go green with her family. Recycle, reusable bags, eco-friendly cleaning supplies, changing our lightbulbs. We are using the reusable shopping bags instead of getting the plastic bags when we go grocery shopping. Thanks for a great giveaway! This past year we converted to reusable shopping bags. We now have 6 bags that we can use (and once a month use all the bags). We just started saving glass containers (such as spaghetti jars and salsa jars) that we are going to use later on for gifts. We love the dried foods in a bottle with a recipe idea. We're eating lots more local foods. Be sure to enter my cookbook giveaway! We're reusing bags for garbage and not buying anymore! We're continuing our homemade lunches in plastics receivables. I've switched to cloth diapers because they are more eco friendly and I am using the washer and dryer less! We're swinging back to using the clothes line. We've changed to CFL's. The new thing? I've actually remembered to take my reusable shopping bags into places! My husband is a park naturalist, so kiddo is kind of a Little Environmentalist already. She's always on the lookout for "triangles" at the bottom of plastics! We've been pursuing a green lifestyle for several years. One thing we hope to do this year to expand our efforts is install rain barrels to capture water for our garden. We recycle as much as we can and use tote bag in place of plastic bags. No little ones here yet (we are adopting) but I teach these things to my nieces and will to our children as well! instead of buying bottled water we went to rei and bought bpa free reusuable bottles. No we refill them with the brita pitcher I got for christmas. I bought some eco friendly bags to use instead of getting platic bags at the store. We do quite a few "green" things already, one that we'll be starting this year (sort of) is cloth diapers, I used them w/ my (now almost 6 yr old) twins, and will be using them for the new baby that's due in April. 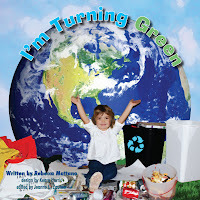 We are working on doing more Green things, and what a great book to help jump start us! We are using SIGG bottles instead of plastic! I have started using reusable shopping bags and water bottles. I also try to bike if I am only going a short distance. Thanks! We're already pretty green but we are really trying to precycle more this year. I think that's what they're calling it, that means buying things with little or no packaging like bulk shopping! We've nixed the disposable plastic water bottles. we are using cloth shopping bags, cloth dishtowels instead of paper towels and and making our own cleaners. getting better at bring canvas bags for shopping to all stores, not just grocery! And, I TWITTERED about this give~away. All three of my boys carry these Earthlustut water bottles for school and packed lunches!